This article is going to investigate the most important part of resistance training… ‘Weight Training Recovery’: is hands down the most important part of weight training, yet often the most overlooked and least understood. This doesn’t matter whether you use body or free weight or machine resistance; the fact is: muscles, tendons and the nervous system need a break from anything strenuous. Including sports, weight training, hard work at you profession any strenuous activity - needs recovery time. Because weight training and its benefits can often become addictive as hard training athletes begin to see results, excitement grows and recovery becomes overlooked; view your recovery time as a natural part of your training progression. The lack of recovery time can eventually see the early stages of overtraining-fatigue. The most intensely effected are the muscles and connective tissue that have received the most effort. Often the transport of blood glucose can be slowed from heavy lifting/trauma. Without full weight training recovery chances of seeing your goals reached become less. Weight Training Recovery How Much? Beginners' to moderate training athletes should be in the 30 - 40 hours of rest before re-training the same body parts, even if your preforming a full body workout. E.G., Monday –Thursday – Sunday, adequate rest is imperative to progress. Advanced intermediate or advanced level lifters that are training intensely often need a full 2 – 3 days, 60 – 70 hours of recovery before repeating the same body parts, depending on intensity levels. Also note: studies show the limits of too much rest for serious muscular gains begin to show signs of atrophy after a 85 to 95 hour rest range; this of course varies in each lifter. After 7 or 8 days of continuous rest a 5 to 8 % drop in strength can be noticed by most. Where over training and weight training recovery are concerned these two topics have their own variations but are often related. Weight training recovery is about awareness and action taken allowing recovery time to heal damaged muscle cells and connective tissue. Over training means that it’s too late: you need to take a breather. Which eventually leads too many different ailments and system break-downs, starting with: muscle soreness, joint pain, lack of enthusiasm etc. So... yes, these are very real and yours truly has experienced them all and it’s not fun! To correct this, a 1 – 2 week break usually does the trick. If you feel a training plateau in your progress has been reached... 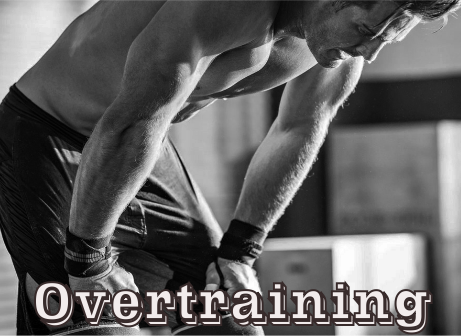 Think about recovery, take a break, do something different, overtraining may be the culprit. As a hard training athlete ‘believe it or not’, you can wear and tear down muscle and energy reserves faster with a poor diet than with any training intensity level. most athletes liver can usually only process 1 gr. of carbohydrate absorbed from the stomach, equating to 240 grams per hour, as you can see a carb deficiency is inevitable in any weight training recovery. Eating extra complex carbs within 30 – 40 mins after your training brings glycogen levels back in balance. Only ingest enough to replenish this requirement, over doing this replenishment can cause bloating, feeling tired, gaseous or increased weight gain. 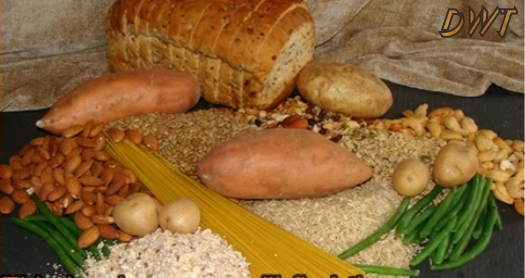 Replenish carbs as needed, fatigue, energy and hunger levels are areas to monitor throughout the day and evening. Don’t skimp on quality carbs, on endurance or heavy training days, while backing off slightly on days off. If weight gain is a concern, keep carb levels at a comfortable and digestible level, keeping flour or wheat based carbs, low on the recovery menu. Hydration: and weight training recovery? Most importantly be sure to hydrate during and after exercise, as I'm sure most of you already know water runs and maintains many of the bodies essential systems including our cooling system. During training you should be drinking 4 - 6 oz. (120-175 ml) for every 20 minutes of activity, depending on intensity levels. If your training passes the 60 min. mark with moderate intensity; coconut water is a good source to be consumed to replace electrolytes. Ultimately re-hydrating with water and consuming fruits higher in potassium such as: dates, raisins, coconut, bananas even avocados, weight training recovery and rest is only one component to recovery. Replacing electrolytes and proper nutrition gives the body what it needs to fully recover. Electrolytes: are commonly known as: Sodium, Potassium, Calcium and Magnesium. In order for muscle to contract you need Sodium, Calcium and Potassium present in the proper levels. The heart, muscles and nerve cells use electrolytes to maintain voltages across their cell membranes that carry electrical impulses to other cells. 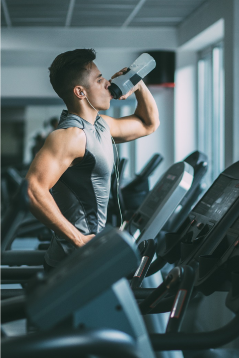 As salt concentration and blood volume decreases during weight training, replacing electrolytes allows the body to retain more water, hydration aids the nervous system and recovery times. So... How important is a full good-nights-sleep in weight training recovery? Whether you’re a hard training athlete or not, it’s essential! It is only during the first 4 – 5 hours of deep-sleep that your body’s metabolism slows enough to allow for the body to rebuild and recharge. As the body enters this deeper relaxed state of conciseness, the nervous system signals different glands to release its hold on certain hormones, such as: Growth hormone, Testosterone and or Estrogen. For natural training athletes this is Paramount. This can/varies in everyone, commonly; a good nights sound sleep of 8 hrs is usually enough, but there are those who can run OK on less, while others need more. 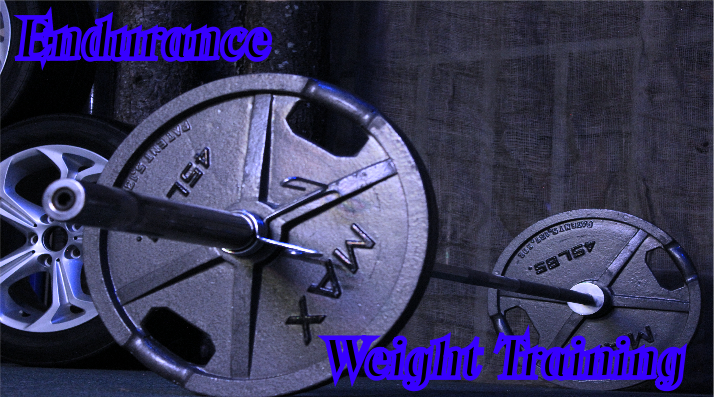 E.G., if you are strength training/powerlifting you may need 9 or more hours, because of the extra added physical stress. As your training continues monitor you’re sleeping patterns: when do you get the best sleep, time of day or night? Do you feel rested or not, if not, adjust sleep patterns to accommodate for better recovery times. Easier said the done? Yes, adjusting your sleep and its patterns is not done with a control knob or dial, weight training recovery is about the amount of training intensity, rest, nutrition even happiness you have going on in your life. In your leisure time choose fun low stress things like: visiting friends, social events, music, movies, books, magazines or a back massage, I’m sure you get the picture. Doing other things relaxes our minds and bodies, which relaxes our stress levels, that in turn helps us sleep deeper and longer, change the record if you’re getting over tired or bored to get a longer deeper sleep... because this is where muscle growth is gonna happen. Surprisingly, a lot of lifters Old and Young are often in this perpetual state of fog with weight training recovery. Preforming endless hours of cardio or training sets is not where you will find the answers to your training progress. Have you looked recently at a sprinters physic compared to a long distance runners? 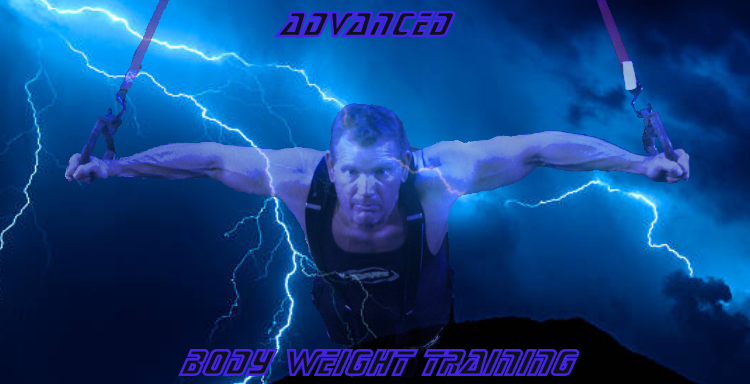 Short intense bursts with rest, stimulates muscle growth, endurance training burns it. Rest, sleep and proper nutrition is what is essential in the muscle, strength, growth and repair equation...Bar none! Seriously; I look at weight training recovery somewhat like a bank account... the money you invest in it each month, is a mirror of the hard work and dedicated effort you put into your body from weight training. Leaving the money alone and letting it grow with interest is the same benefit as proper rest and sleep... Your Body Can’t Grow Without Recovery Period, letting your money rest works the same in a bank account. Invest wisely: every 3 – 4 months go through your workout routine and discard time wasting exercises, pick ones that best suit your goal, don’t waste time with magazine training fads, “Invest In Yourself). Whether you train at home or a gym, train like it’s your last day ‘meaning intensely’, but allow for recovery time, as you would if you were injured. I hope this article has given some incite to the importance of training recovery. 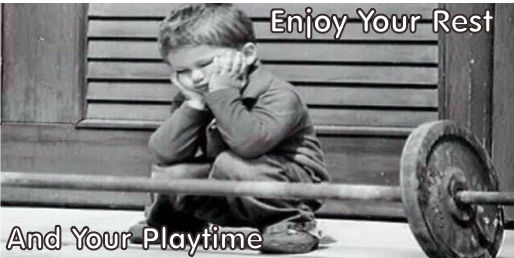 Enjoy your rest to enjoy life.